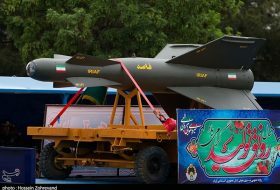 January 18, The Iran Project – To undercut US efforts to weaken Iraq’s economic links to its neighbor, at the head of a politico-economic delegation, Iranian Foreign Minister Mohammad Javad Zarif paid a five-day official visit, his longest ever foreign trip, to the Arab country. 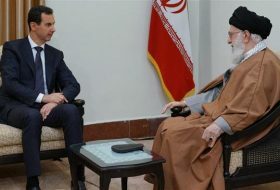 The visit came a few days after the US Secretary of State tour to the Arab countries with anti-Iran goals. Mike Pompeo who visited Iraq January 9 and told Iraqi leaders Iran’s influence must be reduced in the country. Earlier, Zarif had traveled to India, where he exchanged views with the country’s officials on financial and banking cooperation, energy and transit. While in Iraq, the Iranian foreign minister visited cities of Baghdad, Erbil, Soleimanieh, Karbala, and Najaf. He held talks with top Iraqi officials including his counterpart Mohamed Ali Alhakim, President of Iraq Barham Salih, Prime Minister Adil Abdul-Mahdi, Leader of the National Wisdom Movement of Iraq Ammar al-Hakim, former Iraqi Prime Minister Ayad Allawi, Speaker of the Council of Representatives of Iraq Mohamed al-Halbousi, representatives from Iraqi religious minorities, several Iraqi lawmakers, Prime Minister of Iraqi Kurdistan Region Nechirvan Barzani, Secretary General of Patriotic Union of Kurdistan (PUK) Kosrat Rasul, former President of Iraqi Kurdistan Region (KRG) Masoud Barzani, the Chancellor of the Kurdistan Region Security Council in Iraqi Kurdistan Masrour Barzani and former Iraqi Prime Minister Nouri al-Maliki. Accompanied by senior managers of several Iranian state and private sector companies, Zarif also participated in Iran-Iraq joint trade conferences in Baghdad, Karbala, and Sulaymaniyah. Reportedly, President Hassan Rouhani is scheduled to have a visit to Iraq on March 11. Zarif in a joint press conference with Iraqi counterpart said Tehran and Baghdad enjoy solid relations, stressing that the two sides do not allow anyone to interfere in their ties. He noted that he had held very important talks with his Iraqi counterpart mainly on mutual relations in various sectors such as trade, politics, tourism, health, pilgrimage, and regional developments as well as cooperation in international organizations and said the two countries have a very close stance on these fields. The Iraqi top diplomat, for his part, said the relationship between Iraq and Iran has progressed day by day in light of the reciprocal visits by the two countries’ officials adding that Baghdad is resolved to boost relations with Tehran in all areas in line with efforts to serve the interests of both nations. 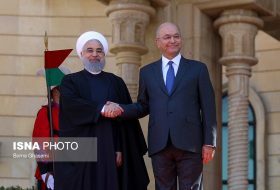 In a meeting with the top Iranian diplomat, the Iraqi president said that Iran and Iraq have a main and effective status in the region, adding that strengthening ties between the two nations will not only benefit both nations but also the entire region. Zarif, for his part, reiterated Iran’s willingness to enhance mutual cooperation with Iraq, saying that the country will remain a supporter of the Iraqi nation and government in all phases, including reconstruction. In a meeting with visiting Iranian FM, Adil Abdul-Mahdi stated that his country is seeking to promote relations with the Islamic Republic of Iran, noting that Iraq’s policy is based on establishing best ties with the neighbors, including Iran. Zarif, for his part, reaffirmed Iran’s continued support for the Iraqi government in line with reinforcing democracy in the country. 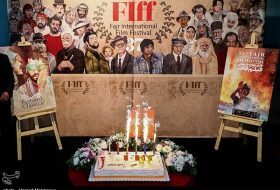 He also voiced Iran’s readiness for strengthening ties with Iran in different areas such as politics, economy, and culture. During a meeting with Zarif, Ammar al-Hakim said that the US unilateral sanctions against Iran make Iraq all the more determined to develop relations with the Islamic Republic. Hakim also hailed the “undeniable” role of Iran in fighting ISIL terrorists in Iraq. He then maintained that the withdrawal of American troops from Syria, although happening very slowly, is still a key factor of change in the region and will have a positive impact on Syria’s development. 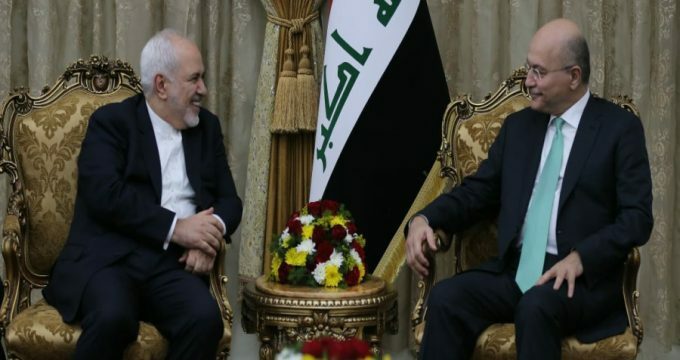 In a meeting held in Baghdad where members of the visiting Iranian delegation led by Zarif and the reform and reconstruction body of Iraq were present, Ayad Allawi appreciated the important role Iran’s Foreign Minister Zarif played in expanding global peace. Zarif, accompanied by a large delegation comprising over 100 business leaders, attended a conference in Baghdad with their Iraqi counterparts to discuss trade. He gave assurances to the participants that US sanctions will not affect bilateral business. Addressing a gathering of representatives from hundreds of Iranian and Iraqi companies in the Iraqi capital, Javad Zarif reiterated that if regional countries want a strong region, they must substitute dialog for war as well as cooperation for arms race. According to the Iranian Foreign Ministry’s website, during the second day of his official visit to Iraq, Zarif held separate meetings with representatives of religious, political, cultural, ethnic and social groups, organisations and institutions, including the head and members of the Sunni Waqf and representatives of Christian, Mandaean, Turkmen and Izadi minorities. 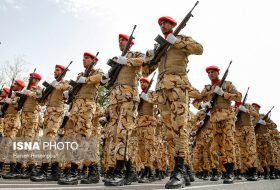 Abdul Latif Al-Humim, the chief of the Sunni Waqf said in the meeting that it is a religious duty to defend Iran in the face of cruel US sanctions. “Iraq is an important country of the region and it would be to the region’s detriment if the country cannot play its regional role,” he added. In turn, FM Zarif expressed satisfaction over meeting the Construction Alliance, saying the alliance’s movement is a clear example of the victory of resistance and democracy in Iraq. “Those who spend seven trillion dollars in the region did not spend it for the security and stability of the region, but for their unilateral interests,” he said. In the conference of Iran and Erbil traders in the presence of the Iranian FM, the PM of Iraq Kurdistan Region said Zarif’s visit to the Iraqi Kurdistan Region shows that Iran has good and positive relations with the Region. Iranian companies stayed in the region in the past four years although the Region was experiencing hard times, the situation is improving now, he noted. Iran’s top diplomat first visited Jalal Talabani’s monument to pay tribute to the deceased veteran Kurdish politician and former Iraqi president, then attended a trade meeting of Iranian and Kurdish businessmen in Sulaimaniyah. In the meeting with the PUK Secretary General Kosrat Rasul, which took place at the end of the one-day visit to the region, Zarif praised the role that late Iraqi president Talabani played in bringing all Iraqis together. 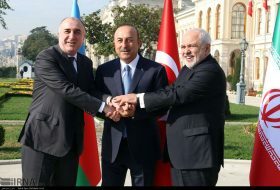 Zarif and Kosrat Rasul also agreed to increase economic and trade cooperation between Iraqi Kurdistan, particularly Sulaimaniyah province and the Islamic Republic of Iran. The two officials expressed their support for closer cooperation between the economic agents from the private sectors and the entrepreneurs of both sides. Addressing Iran-Iraq Joint Trade Conference in Karbala, Zarif said that it was the Iraqi and Syrian people who defeated the Daesh (ISIS) Takfiri terrorist group and the United States had no role in the issue. He wondered why the US cannot make any achievement in combating terrorism in other parts of the world and said victory over Daesh in these two countries was due to the struggles of Iraqi and Syrian people who put their life on the line. Also, Zarif announced the country’s willingness to ink a deal with Iraq to drop customs tariffs between the two countries. In a meeting with the Iraqi officials in the province of Karbala, Zarif stated that Iraq needs to only relay on Iran in the post-ISIL reconstruction era as it did in the fight against terrorism. 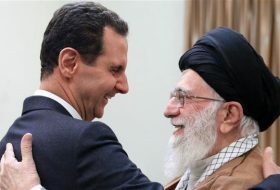 “If you want to rebuild Iraq in the hope of others, you would get nowhere just as you would not have achieved victory in the fight against the ISIL terrorist group if you had waited for others’ help,” Zarif told the Karbala officials. “If there had not been Ayatollah Sistani’s Fatwa and the Iraqi people’s sacrifices along with the Islamic Republic of Iran’s cooperation, the region would be in a different situation now,” the Iranian foreign minister added. In a meeting with a number of tribes in Karbala and Babil, the senior Iranian diplomat said that Tehran has offered visa-free entry for both Iranian and Iraqi businesspersons and is waiting for Baghdad’s approval. 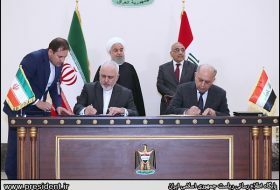 Tehran and Baghdad may sign a visa waiver agreement during the travel of the Iranian President Hassan Rouhani to Iraq that will take place in the near future, Zarif stressed. Speaking to reporters in Baghdad at the conclusion of his trip to Iraq, Zarif expressed satisfaction with the results of his fruitful visit to Iraq, predicting a very bright future for the political and economic ties between Tehran and Baghdad. We had very good meetings with the Iraqi officials and held perfect meetings with the local authorities, the private sector representatives, as well as a number of the civil society activists and tribal chiefs in all of the cities we visited,” Zarif noted. Praising the “historical ties” between Iran and Iraq, the foreign minister said such bilateral bonds are “not fake” and Iranians do not need to travel to Iraq in a sneaky manner, unlike the US president.